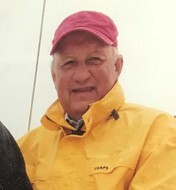 Dexter Alden Holaday, a lifelong resident of Noank, CT, crossed the bar on April 10. He was 72. Dexter A. Holaday II has joined his father, Dexter A. Holaday, as a partner in the long-established marine surveying and yacht consultant business in Noank, CT.